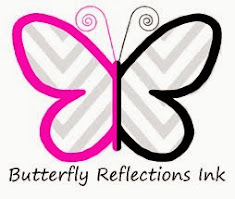 Karen B. here from The Bald Dragonfly, and I first want to thank everyone who entered my birthday giveaway and left sweet comments (winner posted below)! It was a great week for sure. 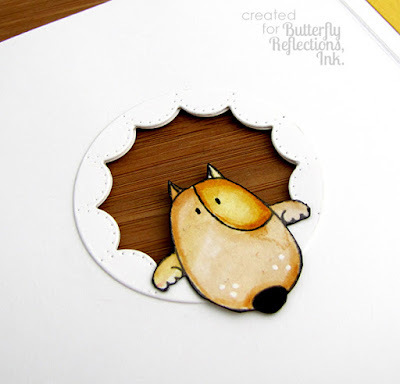 I have a fun and cute card today showcasing stamps and dies from a mix of companies that are available at the shop! First, I stamped the cute dog images from MFT's You Make My Tail Wag Stamp Set and colored them up with Zig Clean Color Real Brush Markers. Onto some red cardstock, I stenciled a brick pattern with MFT's Small Brick Wall Stencil and Fired Brick Distress Ink. I mounted the panel onto a white card base (with the fold on the left, instead of the top) and die cut a circle in the upper center. Then I die cut a series of circles from Waffle Flower's Flowers Circle Inverted Dies in white paper and layered these on the front panel. I stamped and heat embossed in white a sentiment from Neat & Tangled's Better Together Stamp Set onto black cardstock and attached this to the card base with a tiny staple. On the inside front of the card, I affixed the dog's face, peeking through from the outside of the card. 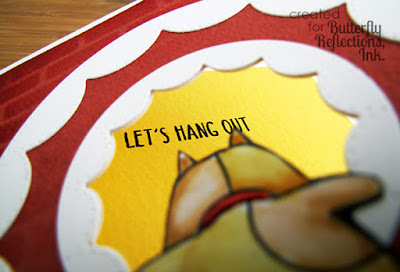 I affixed a yellow piece of cardstock on the inside of the back panel and stamped "Let's Hang Out" from Neat & Tangled's Better Together Stamp Set in Versafine Onyx Black Ink. The winner from my birthday giveaway post, according to Random.Org was commenter #5, jen! Jen, I've emailed you...happy shopping! I appreciate each and every comment and like/visit to my facebook page! Seriously, this is ADORABLE!! Love it! This is so crazy cute- I love every bit of it!! And yippee!! So excited to put that gift cert to work! Thank you so much!! !